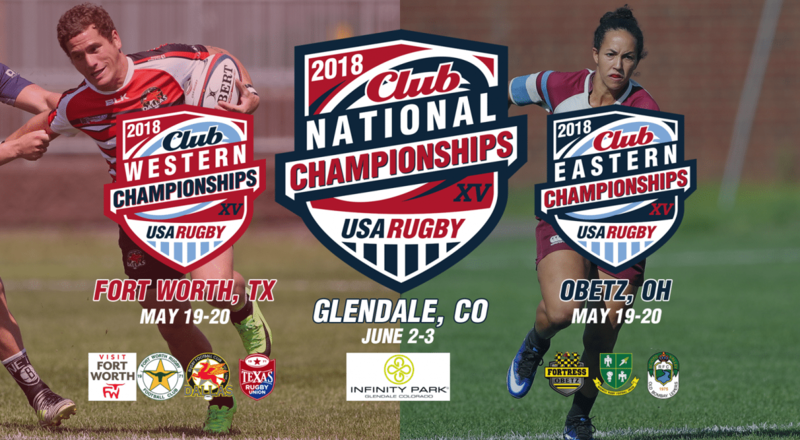 Lafayette, Colo. - USA Rugby today announced playoff locations for the 2018 USA Rugby Club National Playoffs, which includes championships in Men's Division I, II, and III, as well as Women's Division I and II. Parties interested in hosting a future championship series event may contact USA Rugby National Championship Series Manager James Wilber (jwilber@usarugby.org; 720-508-8011) or USA Rugby National Championship Series Administrator Aaron Kaylor (akaylor@usarugby.org; 720-508-8026). The application for hosting may be accessed here.